The Oswald Company is the creation of Ken Oswald. Ken started the company in 1991, leveraging his experience from leadership positions in construction and development firms. As CEO, he is an idea guy focused on strategic expansion opportunities and community engagement. Ken began his development and construction career in 1973, moving quickly through the ranks of area construction companies, developing a solid foundation in sales, marketing, preconstruction and construction services. His experience was further broadened in the development arena while at Tipton Associates, where he developed close to $300 million of commercial properties. 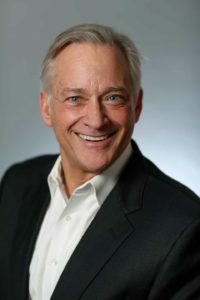 Ken is active in the community, serving on boards for the Cincinnati Playhouse in the Park, Cincinnati Shakespeare Company and the University of Cincinnati Real Estate Board. Ken enjoys staying active, spending time with family and grandkids, art drawing, golfing and taking French lessons. His favorite travel destinations are Paris, France and Florence, Italy. Ken enjoys cheering on Cincinnati’s newest sports team, FC Cincinnati.